This section of the document will provide details of the process that will be used to generate a list of applicants' family details. Roles Involved: MOE Scholarship Section - Administrator, Verifier, Scholarship Officer, Clerk, Finance Officer and Finance Officer. 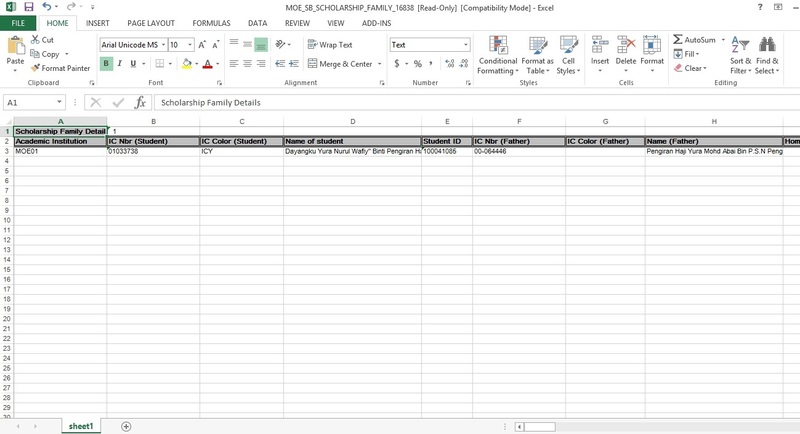 In the parameters, enter the MOE_SB_SCHOLARSHIP_FAMILY in the Begins with field. Optionally in the Query section, click on the Favourite link then the system will populate the query into the My Favourite Queries section. 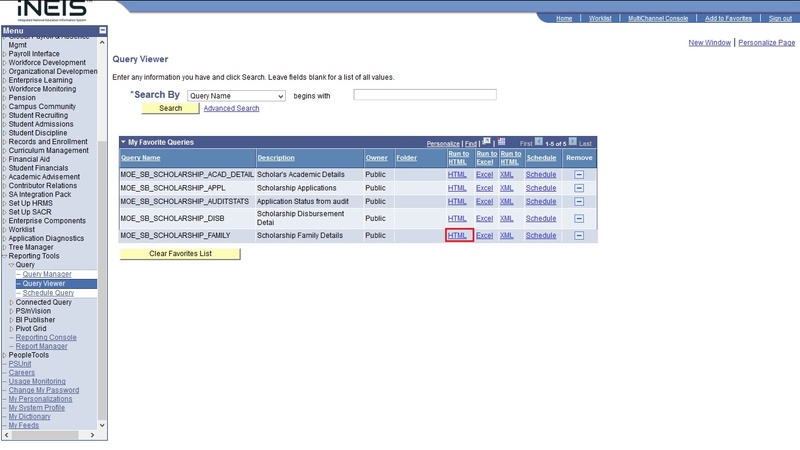 This can be done to allow faster access to this query the next time you open Query Viewer. 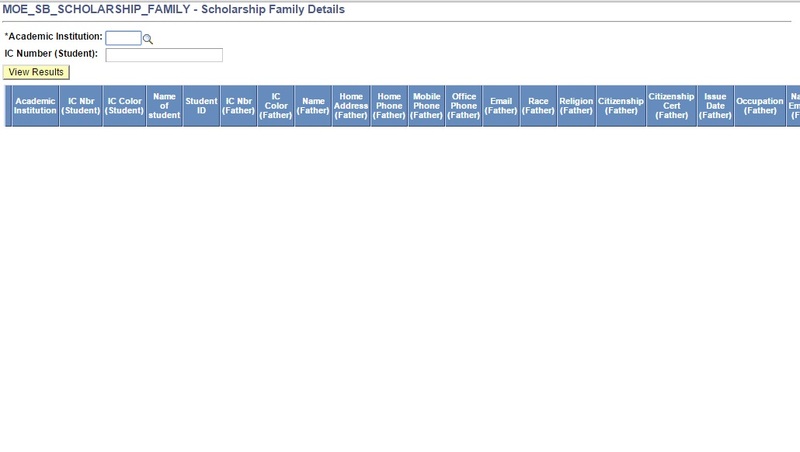 Click on the HTML link to continue and you will be directed to the MOE_SB_SCHOLARSHIP_FAMILY page. 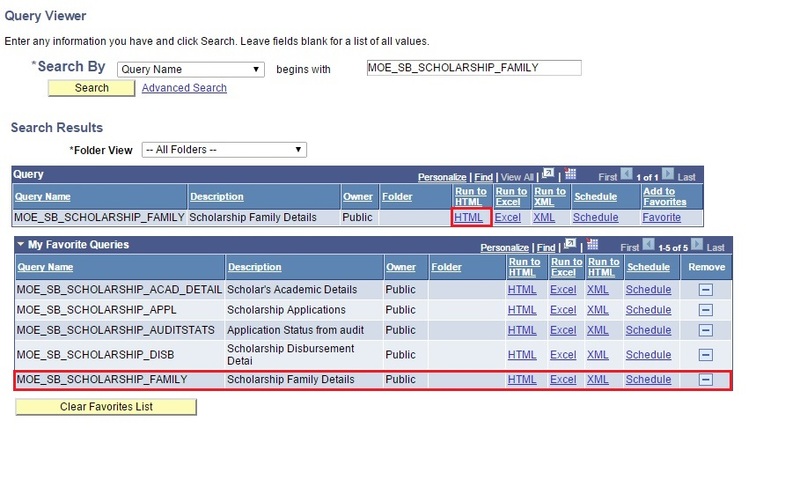 In the Parameters, enter the values in the Academic Institution, Level, Application Year, Appl Status and Scholarship Type fields.